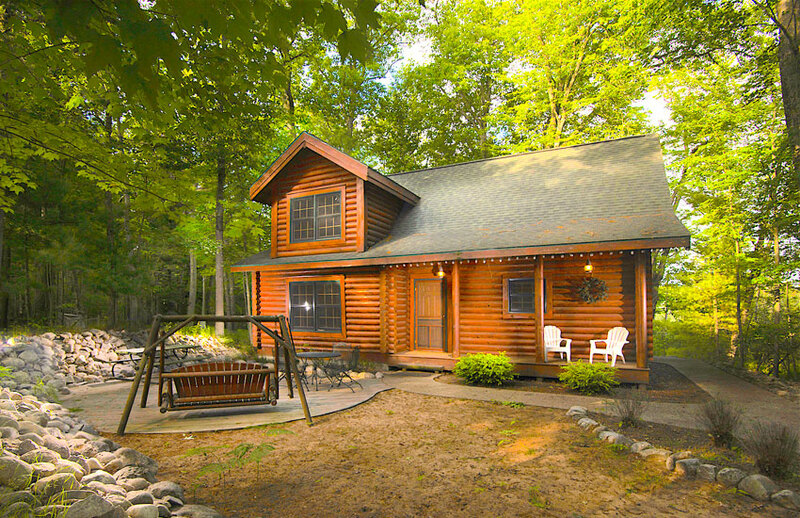 Big Bass Cabin is a newer cabin conveniently located between Lake Michigan and Bass Lake, near Pentwater, Michigan. The road is quiet, and there is a wonderful fire pit right out front – great for summer evens or relaxing, roasting marshmallows and making memories. You can walk to either Bass Lake (where we also have a dock for you boat), or you can walk one mile to the Lake Michigan beach, which has a huge shallow inlet and access to miles and miles of walking. Bass Lake is a 500-acre all-sports lake. We love the fact that there are two lakes literally right there. 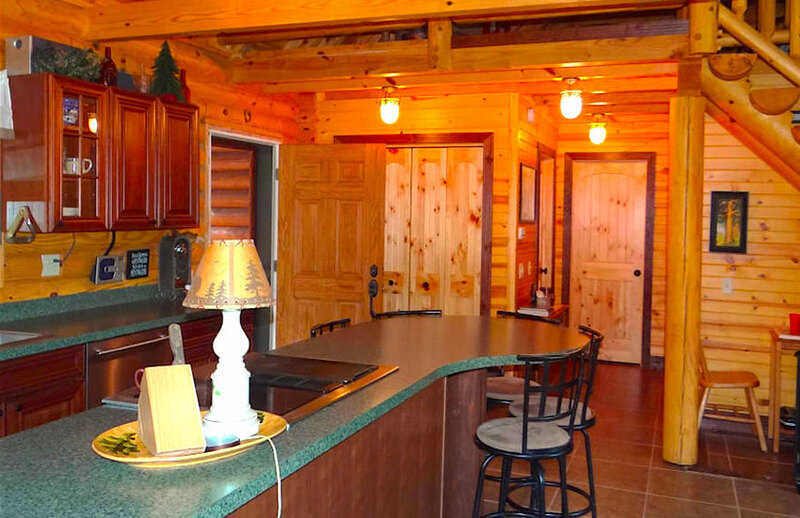 The cabin is a beautiful log cabin with the interior finished all in natural pine. The ceilings soar as the whole cabin (with exception of the two main level bedrooms and bathroom) are wide open up to the ceiling. 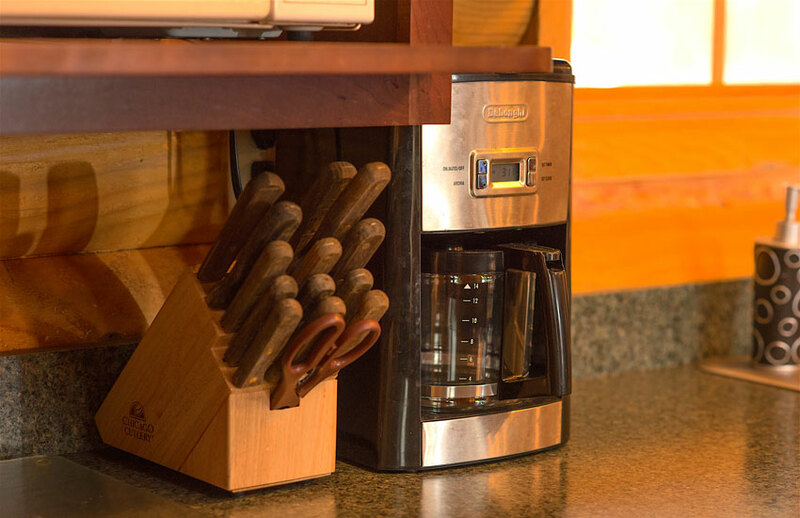 The kitchen is new and modern and includes a dishwasher, microwave, oven/range, full size refrigerator, coffee maker, pots and pans and everything you need to make your stay convenient. There is a large island that also has seating for five. The kitchen is open to the main living space that has a large sectional along with a large flatscreen television and access to the back deck. 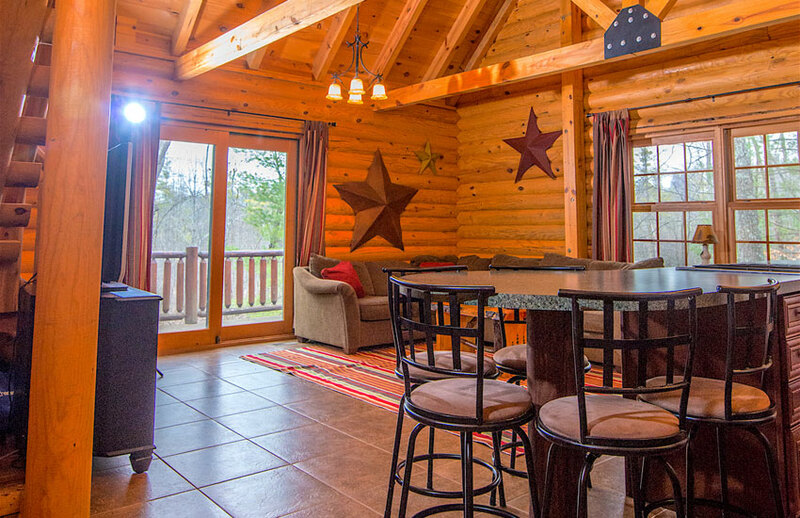 The back deck face miles of natural forest and at night you literally can sit back and hear nothing but the sounds of the woods. 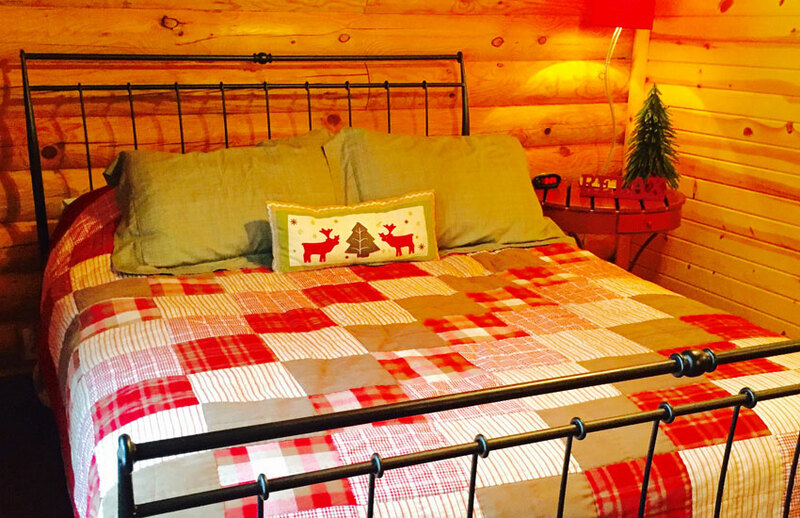 The two bedrooms on the main floor feature queen beds. Both rooms are identical in size. They also each have a full-size closet to store your clothes. The bathroom can be found at the end of the hall between the two bedrooms. 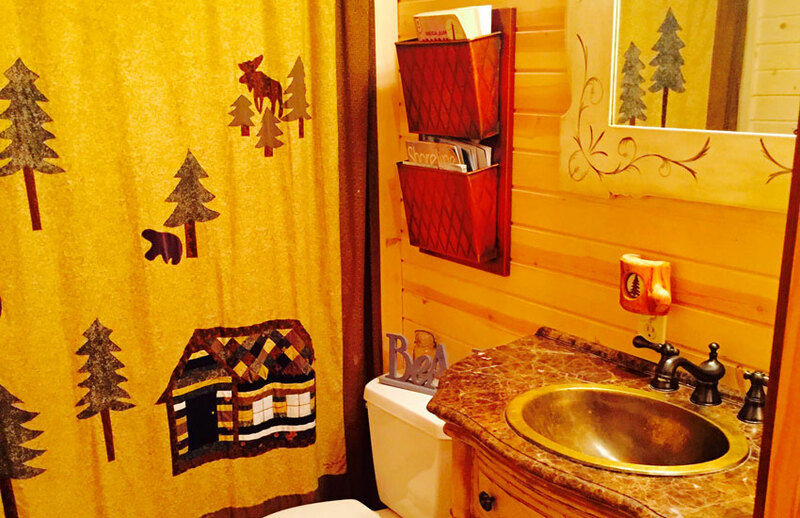 The bathroom has a tub/shower combo and a beautiful custom vanity. The floor is tile. 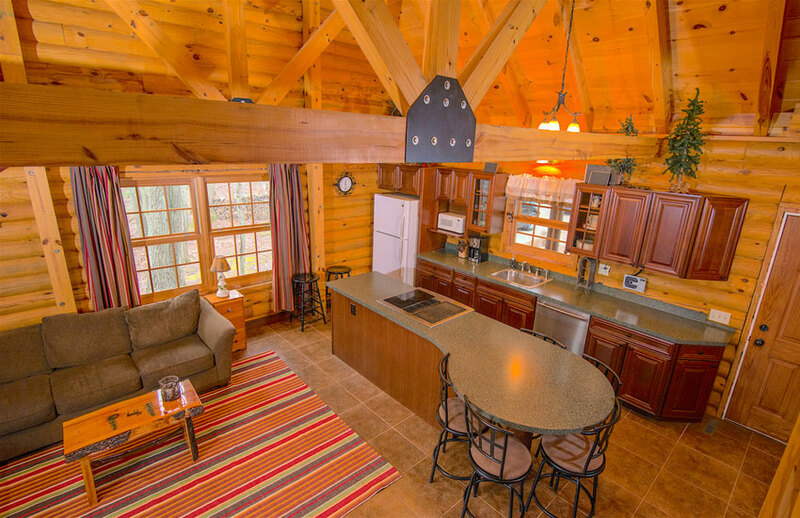 Also in the hall to the bedrooms and bathroom, you’ll find a stacked washer and dryer. This is available to use during your stay. 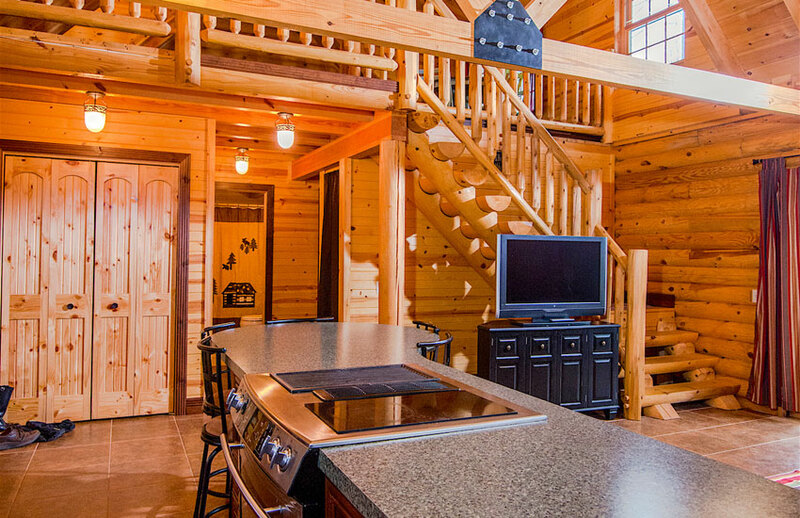 Through the main living area you’ll see the custom-built log stairs that lead to a huge loft. 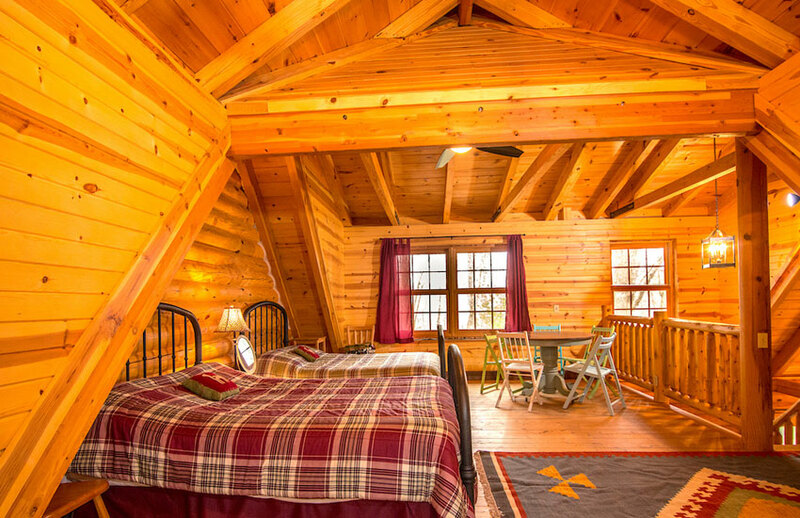 The loft features a good size game table, two queen beds, and a fold out sofa sleeper. The sofa sleeper is located in the dormer area towards the front of the house, so it provides a nice play space and separate area for the kids. There is also another flat screen television up there. Great for when the parents and the kids need a little bit of space! In front of the home there’s a place for the kids to play in the sand and there’s a large deck area with a picnic table, a four-person table and chairs, and several other chairs for plenty of seating. The back deck also has several chairs for morning coffee or evening chats. 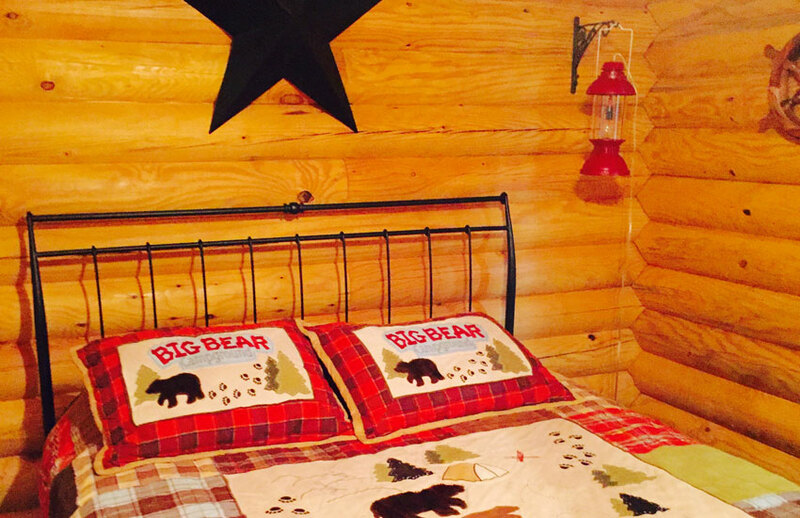 We love the cabin’s vibe … it’s an excellent choice for making family memories. Plus I can underscore the location between the two lakes. 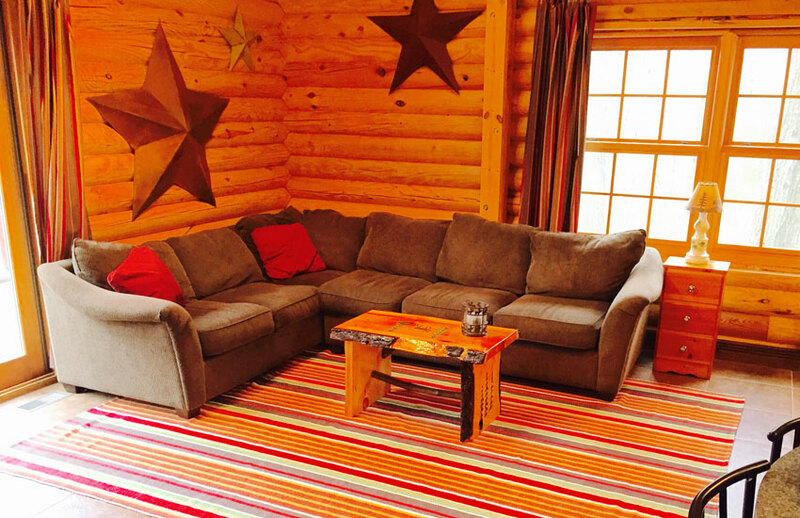 You are literally a one-minute drive or short walk from both Lake Michigan and Bass Lake. On top of that, you are also about 10 minutes from the beachside communities of Pentwater, MI and Ludington, MI. Both communities feature unique shopping opportunities and plenty of good restaurants.